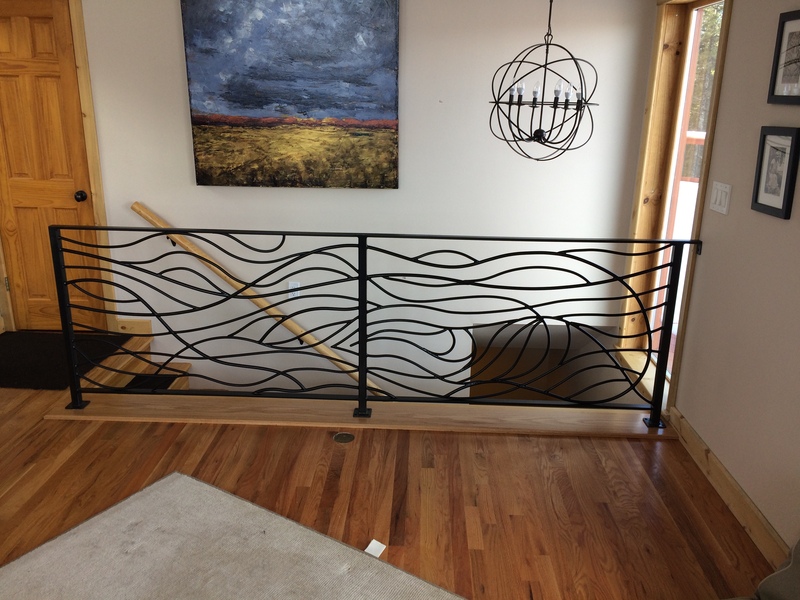 This railing was made by building the outer frame, followed by creating the design inside it. The code spacing between pickets cannot exceed four inches, so the design was changed slightly to fit. The inner pieces of metal were bent into shape and then welded together in this wavelike pattern. The railing was then finished with a gun blue finish. The idea for the railing was inspired by the lamp hanging above it. The two pieces share some elements of their designs.